In an effort to boost tourism, Thailand reduced the visa fees for Indians directly arriving and nationals of other 18 countries by 50% to 1000 bt. On 27th of September this year, the fees were increased to 2000 bt and this change comes barely two months later. Relying heavily on tourism, Thailand’s economy is likely to get a boost by this move. Announcing the change, the Tourism Ministry said, “The fees will be cut to Bt 1,000,”. Visa on arrival is currently offered by Thailand for nationals of Andorra, India, Bulgaria, China, Bhutan, Cyprus, Kazakhstan, Ethiopia, Latvia, the Maldives, Lithuania, Mauritius, Malta, Romania, Saudi Arabia, San Marino, Ukraine, Taiwan and Uzbekistan. Apart from the reduction in visa fees, the government also decided to extend the long-stay visa from one to ten years for people 50 years of age and beyond. The only condition is for them to report every 90 days to the immigration police. Initial validity of the visa is 5 years which will then be increased to 10 years and the fee will be set at 10000 bt as said by the Vice Minister at the Prime Minister’s Office - Col.Apisit Chaiyanuwat. Age requirement aside, it is also necessary for the applicant to have an income of 100000 baht minimum per month, or a deposit of 3 million to be maintained for a period of 1-year post issuance of visa. Health insurance coverage of US$1000 for outpatient and US$10000 for in-patient care is also required. These revisions were made to increase medical tourism as per the government’s policy. 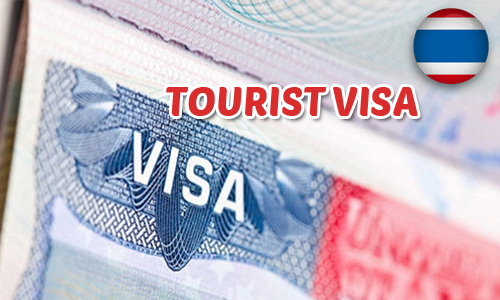 Visitors from United States, India, Canada, Australia, China, France, England, Germany, Japan, Italy, Sweden, Norway, the Netherlands, Switzerland and Taiwan are the groups targeted for the long stay visa, said Apisit.